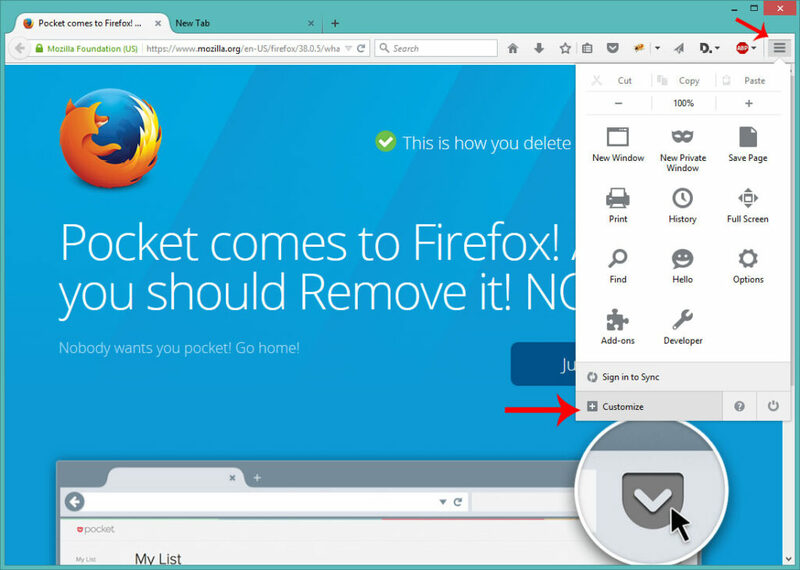 How to remove pocket from Firefox, another service that probably wants to know everything about you for some reason. 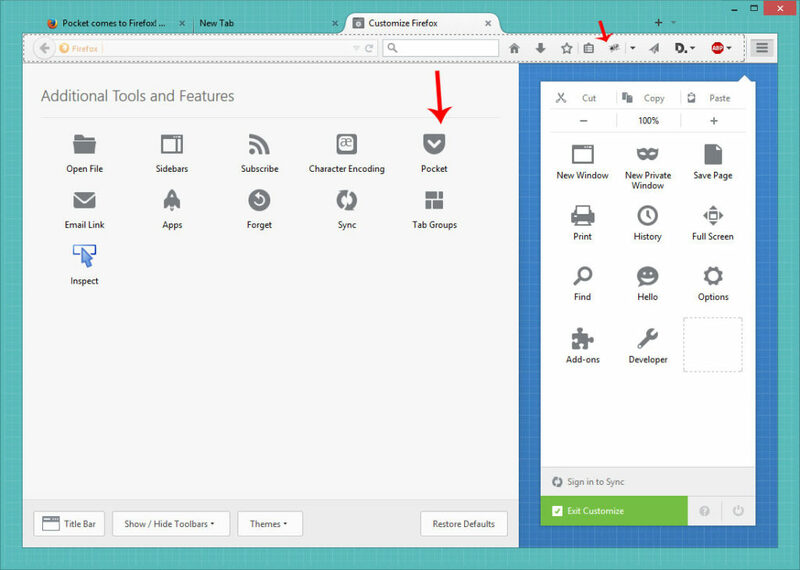 Don’t get scared Pocket is not enabled by default in Firefox, but in case you absolutely want to get rid of it here is how to do it. Remove it from the toolbar. By following these steps you acknowledge that you might void your Firefox warranty and you assume full responsibility for your actions. 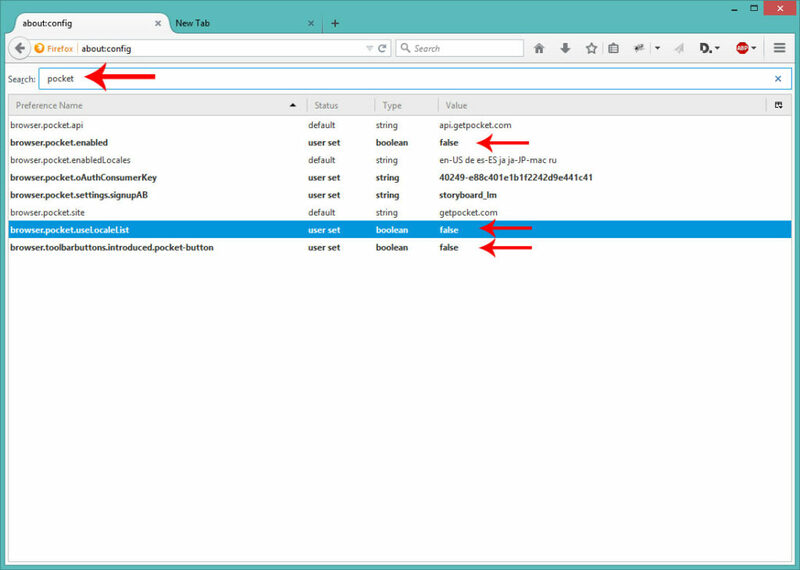 Changing these advanced settings can be harmful to the stability, security, and performance of Firefox. You should only continue if you are sure of what you are doing. 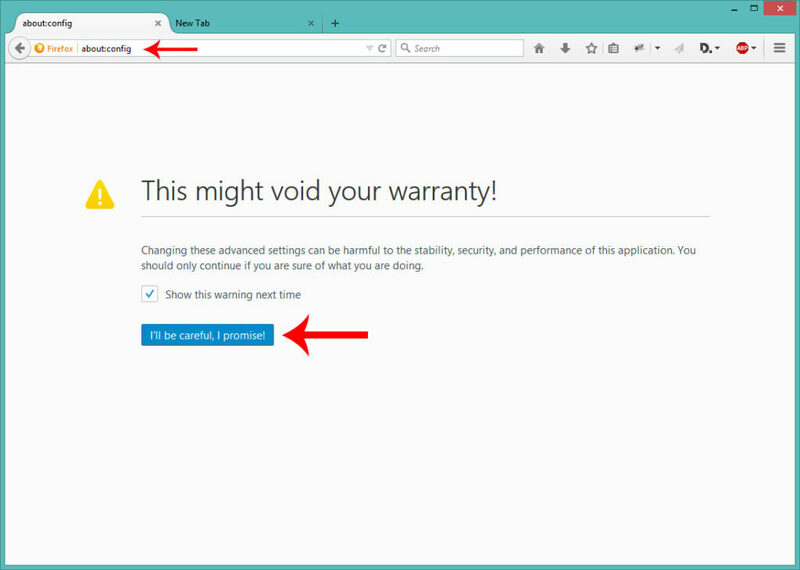 By following the steps bellow you acknowledge that you might void your Firefox warranty and you assume full responsibility for your actions. Changing these advanced settings can be harmful to the stability, security, and performance of Firefox. You should only continue if you are sure of what you are doing. 5. restart Firefox and you are done!